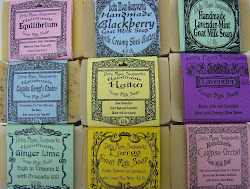 This was such a fun soap to do. 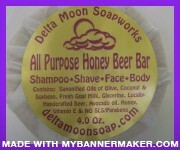 It was inspired by some chats I have most Sunday's with a customer at my Martinez Market. He loves old movies too and we always chat about them. 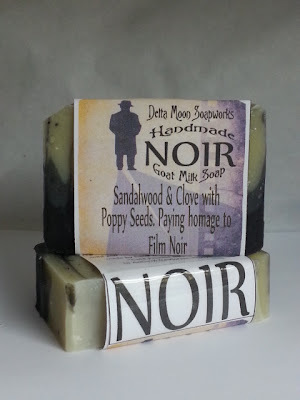 One day I was thinking how cool it would be to do a soap in homage to Film Noir! 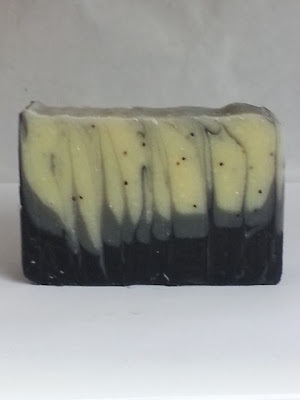 That's what this soap is about, so it's got black and grey in it. 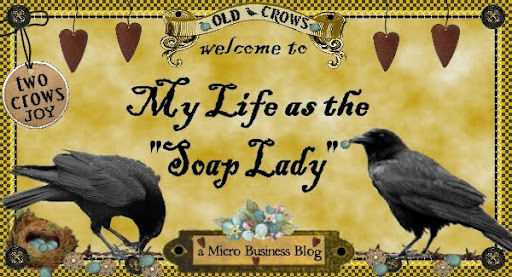 The scent came from an episode of Frasier! I was watching and he says "now to try my new soap, it's sandalwood with just a touch of clove"! I said "that's IT!" I wanted something smokey for the scent and that's it! It wont be ready for another week yet and its a small batch but I really loved the concept, start to finish, what do you think?